Unidentified Photographer, Ramona, Rebekah Lodge, No. 83, I. O.O.F., late 19th–early 20th century. For the collector and curator W.M. Hunt, when it comes to group photos, the bigger and weirder the better. He likes photos with thousands of people in them, chaotic photos in which people look like ants and overflow out of the edges of the frame. Conversely, he likes highly orderly photos, in which people have arranged themselves into perfect rows, or trapezoids, or into the stars and stripes of the American flag. 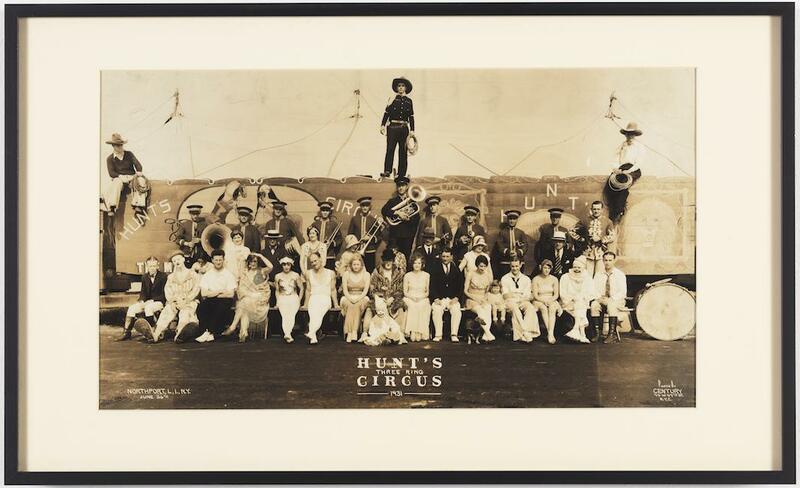 No matter the specific situation, the people in the photos in his exhibition, “Hunt’s Three Ring Circus: American Groups Before 1950,” have gathered with intention. But frequently, any sort of useful background information about why the photos were taken is lost. “All you know is there was some point in time where all these people came together for this picture. There’s a kind of collective insanity to it all,” Hunt said. E. J. Kelty, Century Photographers, Hunt’s Three Ring Circus, Northport, Long Island, New York, June 26, 1931. Unidentified Photographer, Buy V Bonds, 1940s. E.V.N. 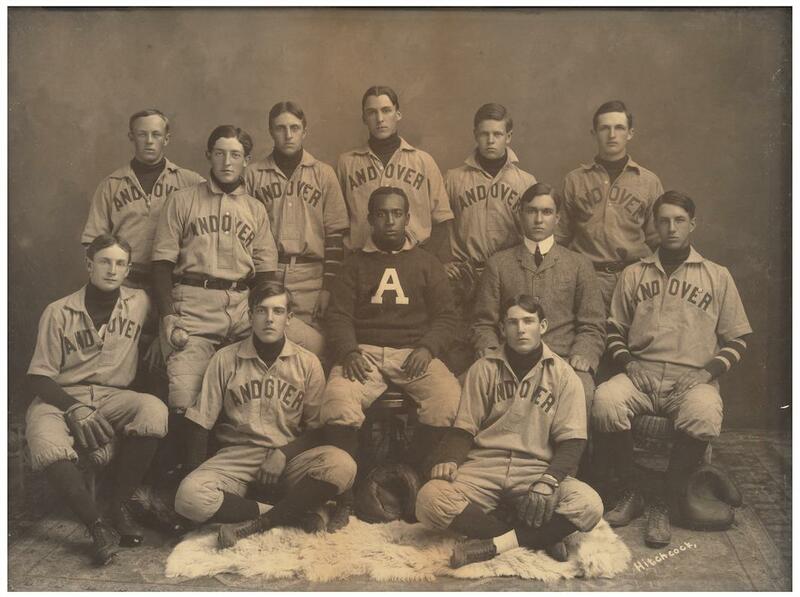 Hitchcock Studio, Phillips Academy Baseball Team, late 19th century. Fred Hess and Son, Central Studios, Inter City Beauties, Showmen’s Variety Jubilee, Steel Pier, Atlantic City, Sept. 3–8, 1935. Over the years, Hunt has collected hundreds of group photos. He finds some of them on eBay or through dealers. Others come to him from friends, who will snap a picture of a photo for sale at a flea market and ask him if he wants it. One year, he found a bunch of photos at a tabletop show in an alleyway during Paris Photo. “Any collector who’s energized is actually magnetized, and the stuff just finds you,” he said. For years, Hunt’s passion project was a collection of photos in which people’s eyes are closed, which he published in The Unseen Eye: Photographs From the Unconscious in 2011. Just as he was curious why anyone would save a picture whose subject can’t be fully seen, he became interested in why people hold on to these absurd group photos. “You know they’re in the basement behind the bookcase, or they’re in somebody’s gymnasium. They’ve been tucked away. They don’t have much of a viewable life. I like that. I like the lack of popularity,” he said. 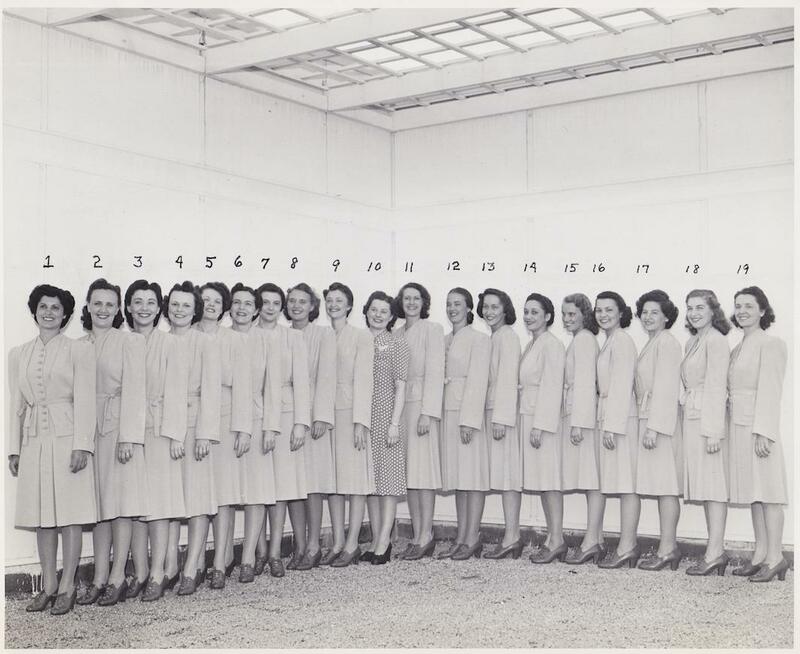 The Press Department, Bell Telephone Department, New York World’s Fair, 1939. Elmer Chickering, Living flag and parade, 1904. Mile High Photo Co., Walther League Party—Tour No. 1 En Route to San Francisco Convention, “Looking Pleasant” on Denver Mountain Parks Drive, July 22, 1925. Though Hunt never went about collecting in an academic manner, his photos do ultimately constitute an informal history of American social and labor movements. 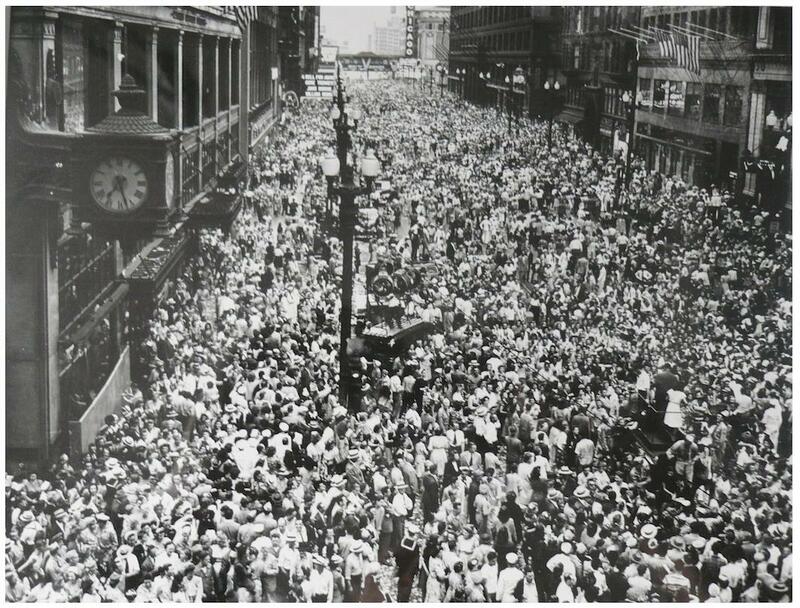 There are photos of rallies and demonstrations, photos that serve as records of union strength. 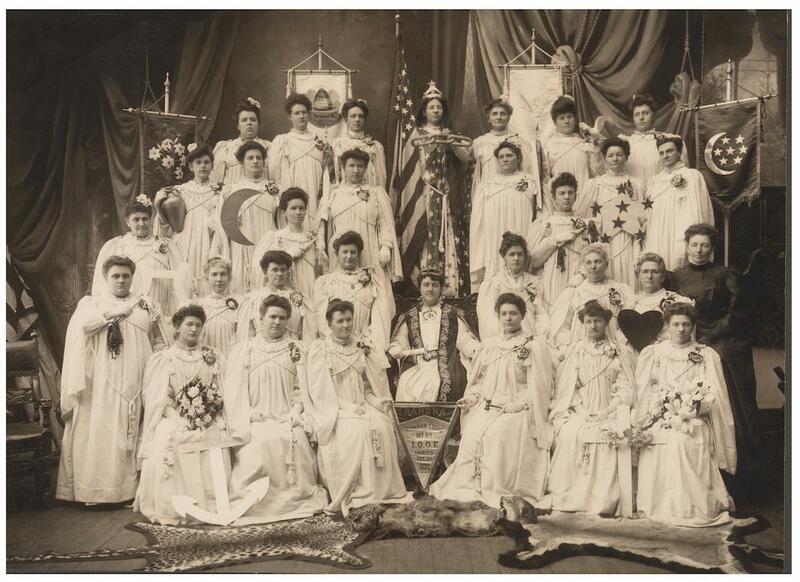 Other photos show the rise of American fraternal organizations or women’s groups. “People know how to get into a rectangle and smile. I think that’s a very 20th-century phenomenon,” he said. “Hunt’s Three Ring Circus: American Groups Before 1950,” presented by the International Center for Photography, is on display at New York’s 1285 Avenue of the Americas Art Gallery through Jan. 8. Fred Hess & Son, Miss America Pageant—Convention Hall, Atlantic City, New Jersey, Sept. 7–12, 1953. 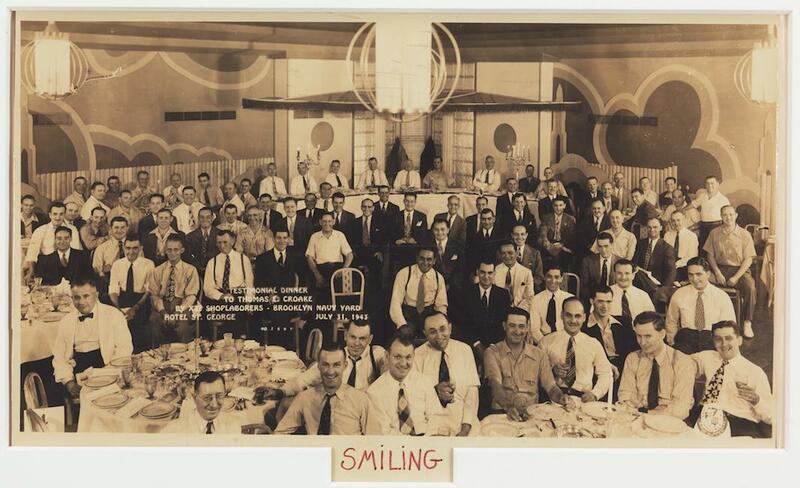 Knickerbocker Pictures, SMILING, Testimonial Dinner to Thomas E. Croake, by X22 Shop Laborers, Brooklyn Navy Yard, Hotel St. George, July 31, 1943. Falk Photo, A Picnic on Goodavage Farm, Venango, Pennsylvania, Decoration Day, May 1924.